Posted September 1st, 2015 by & filed under Tour. 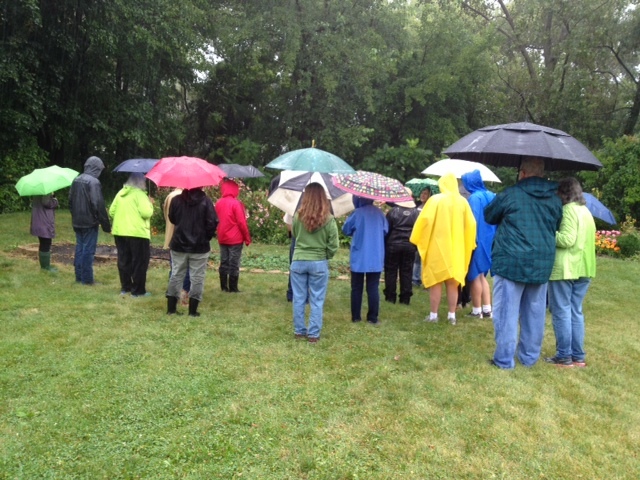 On Saturday, August 22, 23 intrepid garden enthusiasts toured the prairie gardens of Dale Steichen in Elgin. Dale and his wife have been working on their property for the past 15 years. Inspired by volunteering in nearby Burnidge Forest Preserve, Dale has gradually been turning his two acre property into primarily native plant haven. It has been a labor of love and learning as they have discovered what plants do well in the combination wet and dry areas of their property, what plants are aggressive and spread and what plants take coaxing and extra attention. They have also had to contend with not so understanding neighbors who aren?t all that happy with the somewhat wild look that prairie gardens have a tendency to become. 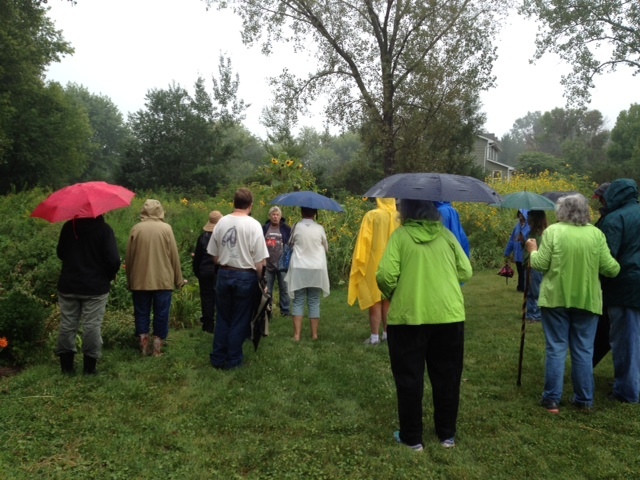 Dale?s experience is inspiring to all of us who are proponents of native plants and prairies. Next month, we will be taking a tour of another garden on Saturday, September 26 at 10:00 AM at JoAnn Schindler?s garden. JoAnn considers her garden work in progress too. She lives on ? of an acre in unincorporated Algonquin: 9907 Fox Shores Drive. JoAnn began planting with native plants 3 years ago. She has learned the importance of matching plants with their needs and controlling invasive and how to combine traditional and native gardening, and how to manage aggressive plants, native and non-native. She has also learned to contend with changing environments with shade being diminished from a tree taken down and extra shade from a growing tree. JoAnn will share with us the lessons she has learned over the last three years in her effort to create her garden.